I recently watched "I Have a Lover" and I super love the following drama. Its a drama full of love, family and friendship. 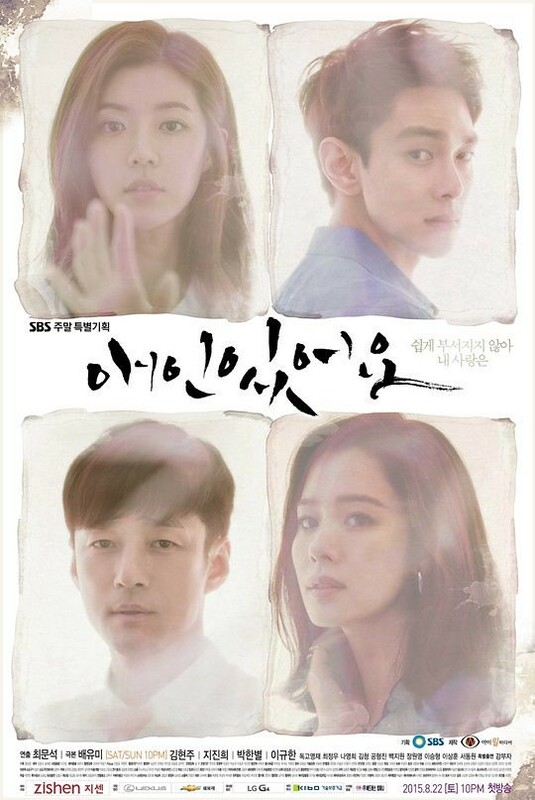 Dokgo Yong Gi is Do Hae Gang's unknown twin sister, and she was pregnant and discover some bad effect of a medicine and want to expose it to the world. After the couple divorce, Hae Gang gets into a mysterious car accident and loses her memory. Baek Seok (Lee Kyu-han), mistaking Hae Gang as Yong Gi, saves Hae Gang and makes her live as Yong Gi and then Hae Gang becomes Baek Seok's fiancé and lives with his family. Years after, Jin-Eon met Hae Gang again but she can't remember him at all. This made him lost his purpose in life and trying to win Hae Gang heart. This drama is full of story, I love how the couple found back one another even the whole world denied that they were couple previously. And the music OST is perfect match also. In the end of course its a happy ending. And I do not wish the drama ends so early because they both are so cute together.